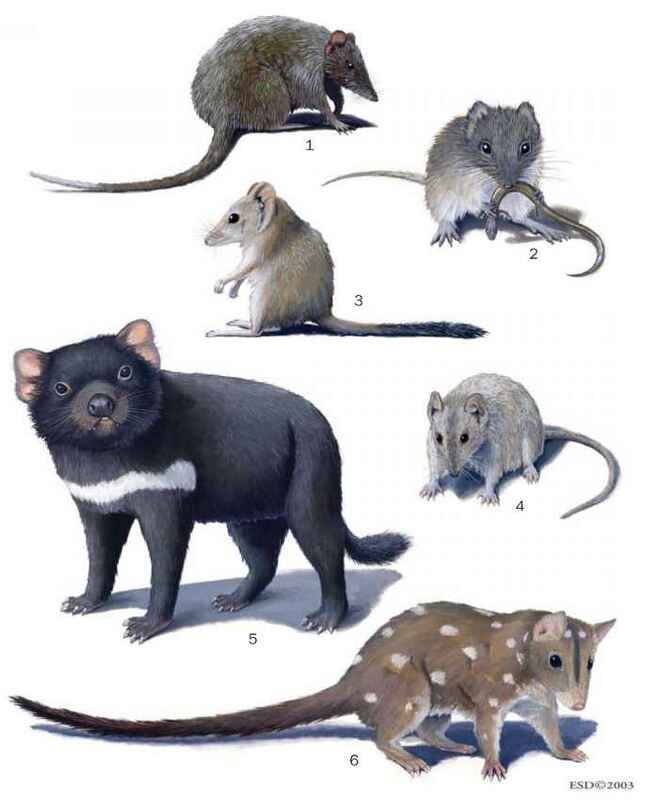 Competition for food contributes to differences in foraging niche among all size ranges of carnivorous marsupials that live together, with the exception of the termite-eating num-bat but including, historically, the thylacine. Competition appears to be more prevalent in mesic forests and heathlands than in arid environments, where droughts, floods, and unpredictable food supplies may often reduce populations to low levels. Competition from larger antechinus species excludes smaller species from the highest quality habitat, with the result that the smaller species eats smaller prey for which they probably have to work harder. In Tasmania, food competition among the larger carnivores has resulted in separation between species on prey size. If species consume different-sized prey, competition for the same prey items is reduced. Competition has been sufficiently intense over a long enough time scale to drive evolutionary changes in canine tooth size among the quolls. Canine tooth strength, which determines the size of prey that can be killed, have become evenly spaced. Even spacing in prey size among species minimizes competition.